“The crime of the 21st century” is the financial scamming which targets seniors, although this unconscionable misuse of trust is not making the headlines. Why is this happening? Many seniors are thought to have a considerable amount of money but it is not just the wealthy who are targeted. These unsuspecting victims represent every socio-economic group. Financial abuse and scams often go unreported or can be difficult to prosecute, so they are considered a “low-risk” crime. However they are devastating to the elderly among us and can leave them in a very vulnerable position with little time to recoup their losses. These adults are increasingly targeted and exploited by trusted caregivers, family members, and unscrupulous telemarketers, businesses, and scammers. According to the National Center on Elder abuse, financial abuse accounted for about 30 percent of all elder abuse that is substantiated and reported to adult protective services. As accountants and tax professionals, we are allowed the privilege of having access to our elderly clients’ financial information. With this privilege comes the responsibility of being vigilant about the possibility of fraud. In assisting the elderly with their personal finances, it is most important to treat them with kindness and patience. They are often overwhelmed by necessary paperwork, online tasks, required filings, documentation and financial issues. In addition to these tasks they may struggle with health issues, loss of a spouse, loss of independence, and loss of interest in their own financial matters. Seniors or often very diligent about keeping their paperwork and mail, but they need help in sorting through it all. They may reside in a senior living facility with few bills to pay but still with have investments to manage and taxes to file. 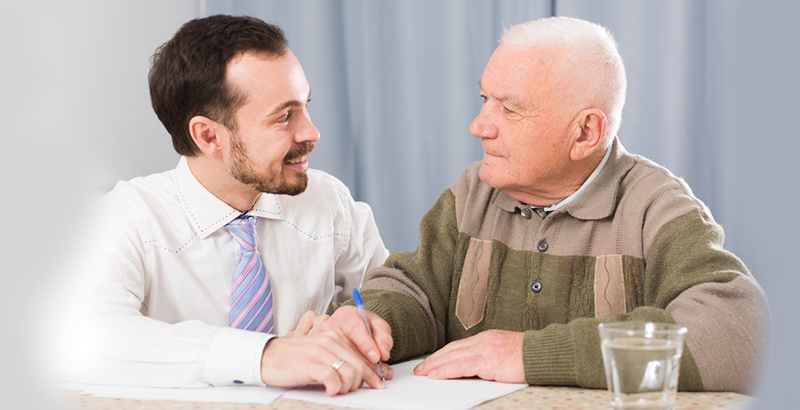 Elderly individuals often have a trusted friend or relative who can assist them but many do not have any one at all. Often they have been taken advantage of by the very people whom they have always trusted. They want reassurance and assistance but their primary need is for someone they can trust. This is most probably the reason that they have hired you for tax or financial advice. The client may be reluctant to report fraud or thievery by a close family member and the accountant is not bound by law to report the suspected activity to the authorities. It is incumbent upon us, however, to help the client indentify and remedy the problem even it that results in reporting the crime. We can assist them in changing bank accounts and passwords. We can help them consult an attorney to review their will, living will, powers of attorney, and health care advance directives. Financial activity that is inconsistent with the client’s financial history. (increased or unexplained credit card activity, sudden change in account balances, unauthorized ATM withdrawals, and newly authorized signers on accounts). Confusion about recent financial arrangements/transactions by the client who is reluctant to discuss finances. Apparent forgery of the client’s signature. Unexplained transfer of assets to a family member or someone outside the family. Sudden appearance of previously uninvolved relatives claiming their rights to an elder’s affairs and possessions. Payment for services that are unwanted or unnecessary. This the most common scheme used to prey on older people. Many of the victims are used to shopping over the phone and might not be aware of the risk. With no paper trail these transactions can be very hard to trace and once a sale has been made, the buyer’s name is then shared with other scammers. Money is often solicited for fake charities, typically after a natural disaster. These scams often operate via the internet and the prices are lower. They may be fake drugs that may be unsafe or will inflict harm. Scammers can read obituary notices to take advantage of a grieving widow or widower. They may claim that the deceased had an outstanding debt and try to extort money from the family. Funeral homes may try to add unnecessary charges to the bill when the family is unfamiliar with funeral expenses. Pop-up Browser windows simulating virus-scanning software will fool victims into either downloading a fake anti-virus program (at a cost) or an actual virus that will open up the user’s computer to a virus. Unfamiliarity of web browsing makes seniors susceptible to traps such as e-mail/phishing scams. In this scam a person will receive an e-mail message that appears to be from a legitimate company or institution, asking them to “update” or “verify” their personal information. Often these e-mails appear to be from the IRS. Scammers often take advantage of the fact that many people above a certain age own their own homes, a valuable asset that increases the potential dollar value of the scam. There is the potential for the borrower to be scammed, especially if they have recently received the equity in their homes. The home owner should be aware of people who are pressuring them to obtain a reverse mortgage, or those who stand to benefit, such as a home repair company who approached the older adult directly. Scammers often notify a victim that they have won a lottery of sweepstakes and need to make a payment to be able to receive their prize. Often a check will be sent to deposit into the victim’s account but as soon as fees are received from the victim, the “prize money” check bounces. Because many seniors are planning for retirement, many schemes target those who are looking to safeguard their cash for their “Golden Years”. These are often complex financial products than are hard to understand. Many seniors are trusting when it comes to investing their money. These individuals need your help and compassion. They have probably worked hard during their lives and used to be “somebody.” If you are hired by an elderly person for accounting, tax, investment, insurance or similar financial services, make it a priority to be the person in their life that they can trust. By minimizing possible financial abuse you will provide them peace of mind. This will enhance their quality of life and perhaps enable them to continue to live independently. 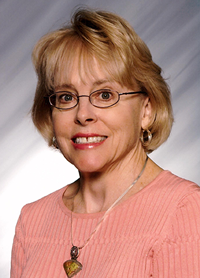 Jane Weisenfelder Brown, CPA is a conscientious professional with over thirty-five years experience in public, industry, and non-profit accounting. Effective in organizing and managing financial data in a timely and efficient manner. Reputation for being ethical, accurate, dependable, self-directed and adaptable to diverse clientele. Experience in establishing relationships with elderly clients and assisting them with financial decisions and tax preparation.